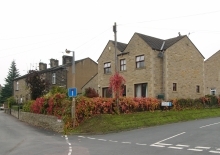 At present there are approximately 1,488 houses in Sutton-in-Craven. The latest housing development, Crofters Mill, now contains 53 houses. In 2001 the population stood at 3,480 and is ever increasing. Is there anyone in your household who, in the next few years, might need affordable or sheltered housing? If you are unable to move to accommodation of the type you need, is this because of Price, Lack of suitable housing to buy, Lack of local authority housing, Lack of other rented accommodation? What type of housing would you like to see in the village? Where in your opinion is a suitable location for new housing? The general feeling was that any future development should be designed to conserve and, where possible, enhance the rural character of the village. Any developer needs to take account of traditional materials used in the vicinity, and to choose those which complement the location, size and style of any proposed development or conversion. 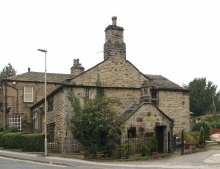 Older properties are built in local stone. New development should be required to use a stone which complements the local style. 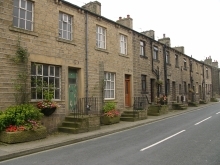 Many original features can be incorporated by developers into the design of new properties. House owners wishing to convert, extend, renovate or modernise their homes should be encouraged to use local detailing and adopt a sympathetic and cohesive approach in relation to the existing house and neighbouring village properties.